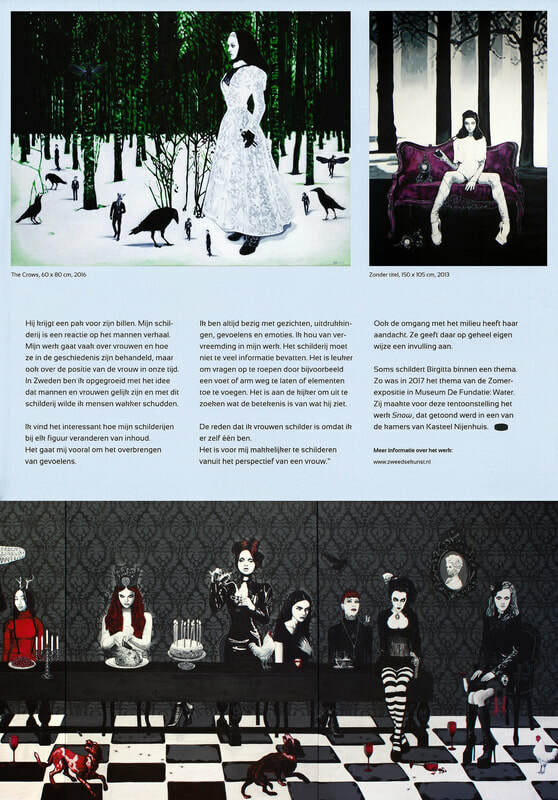 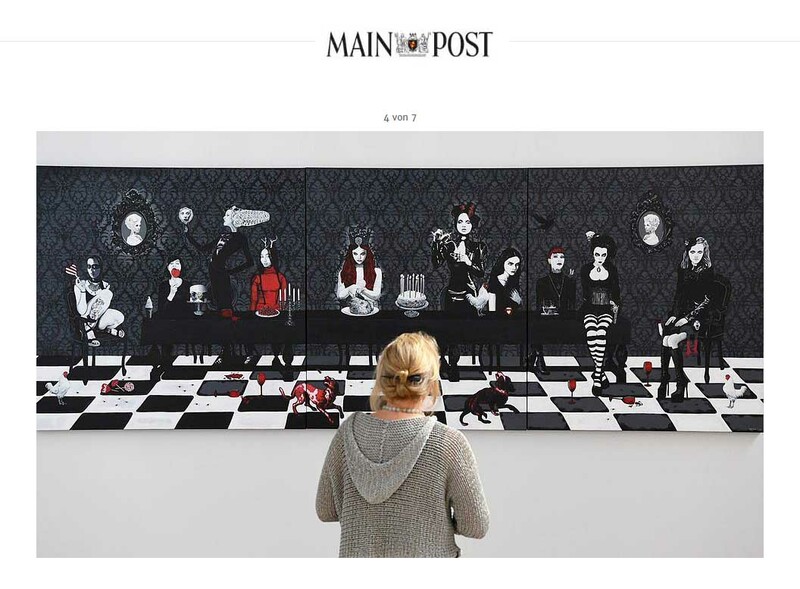 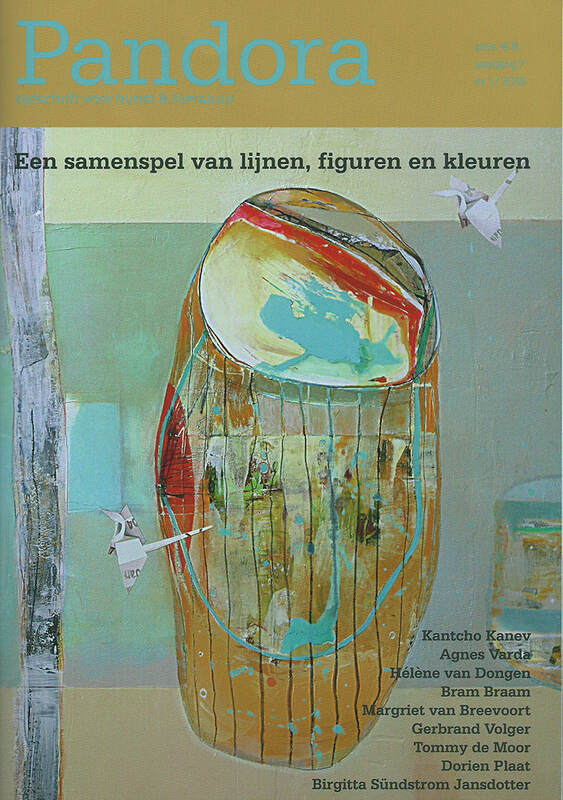 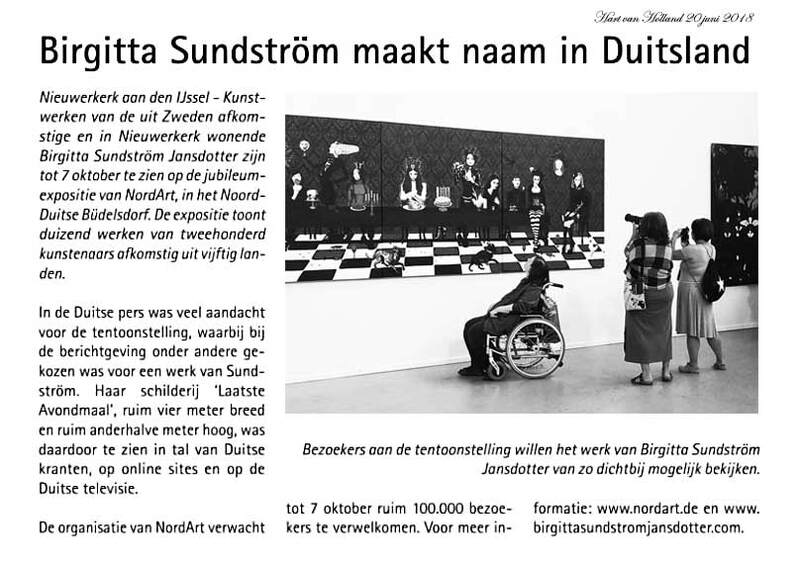 1000 works from 200 artists from 50 countries are shown in NordArt. 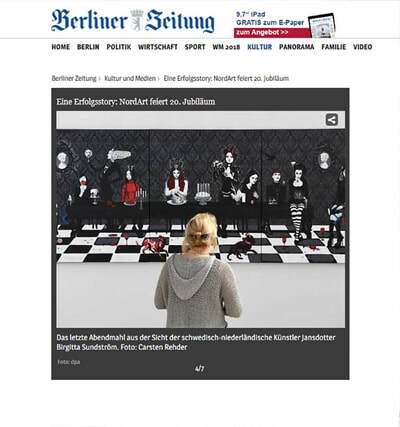 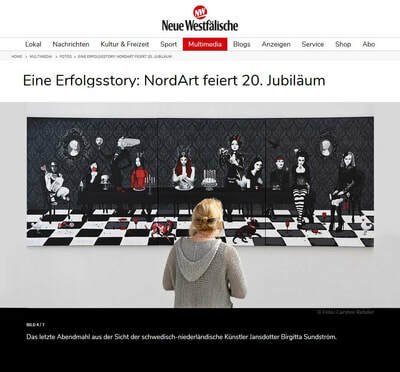 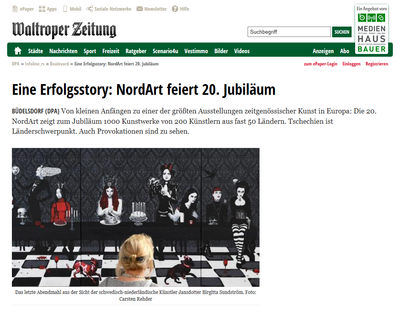 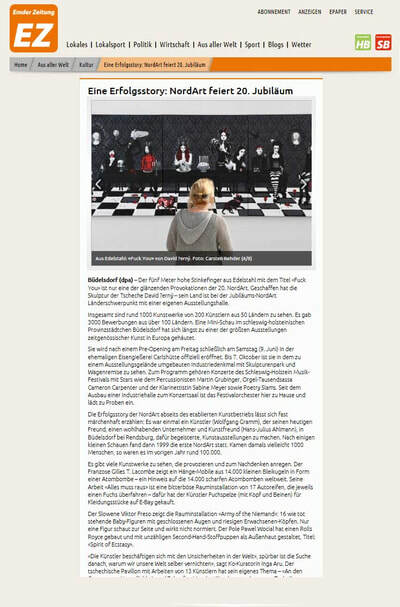 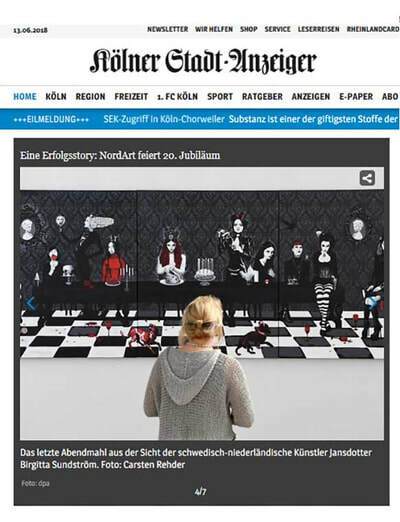 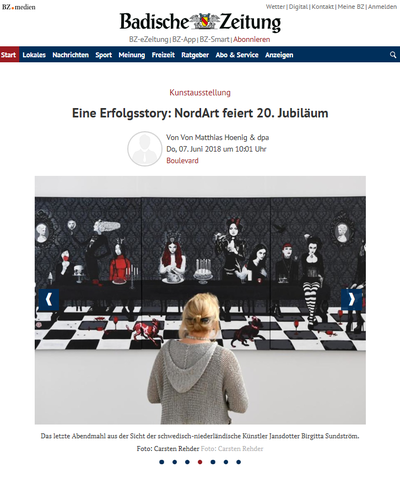 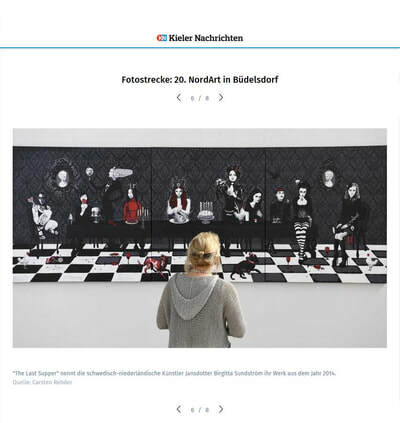 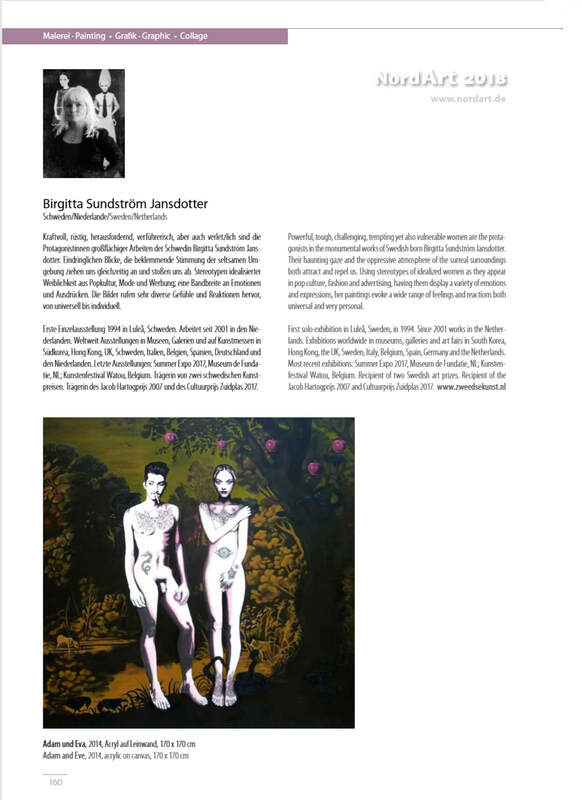 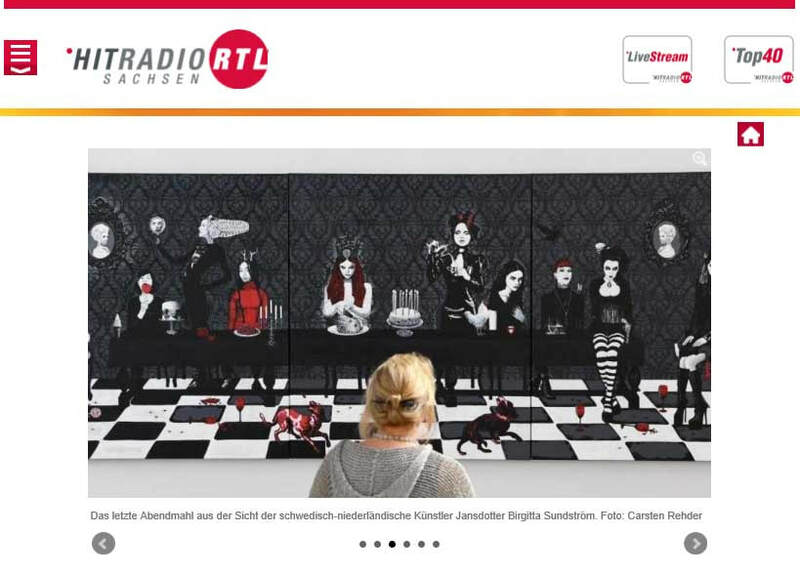 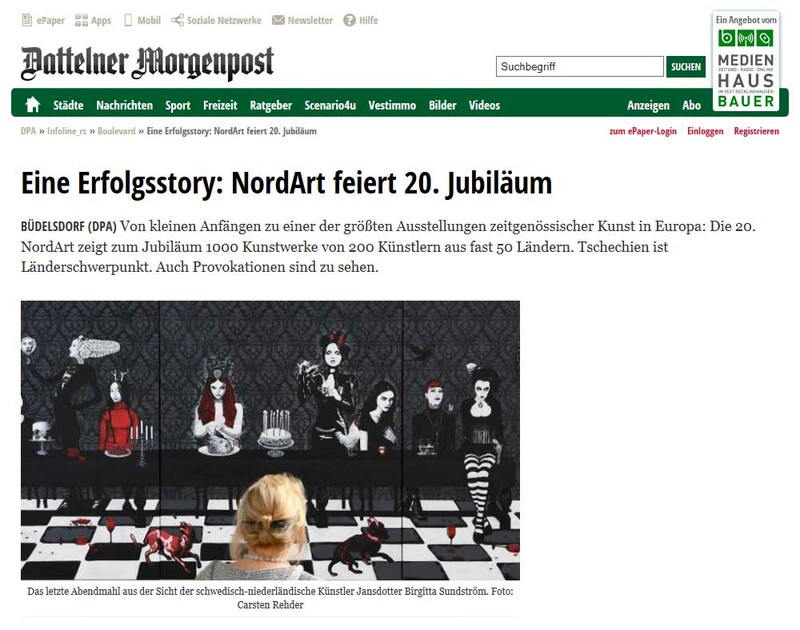 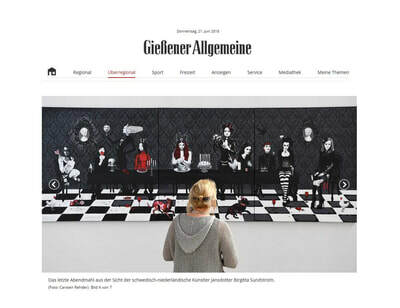 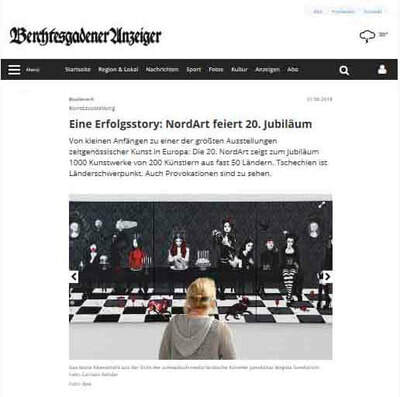 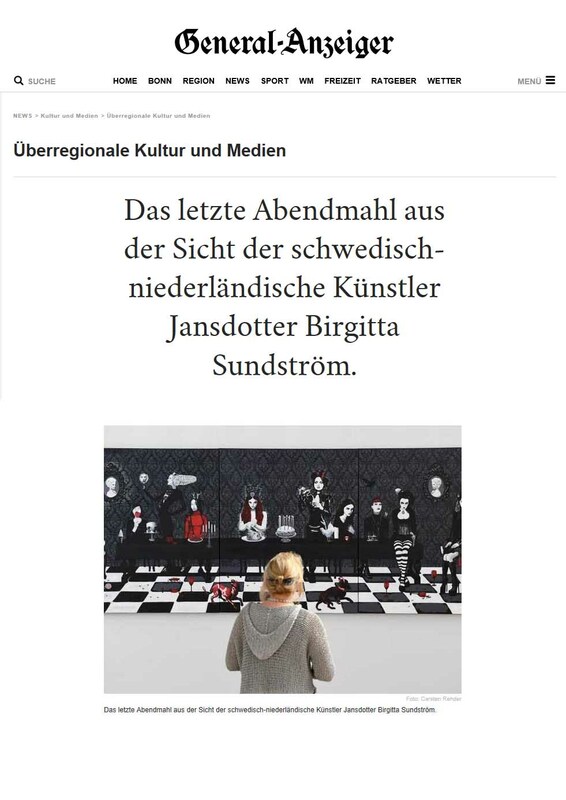 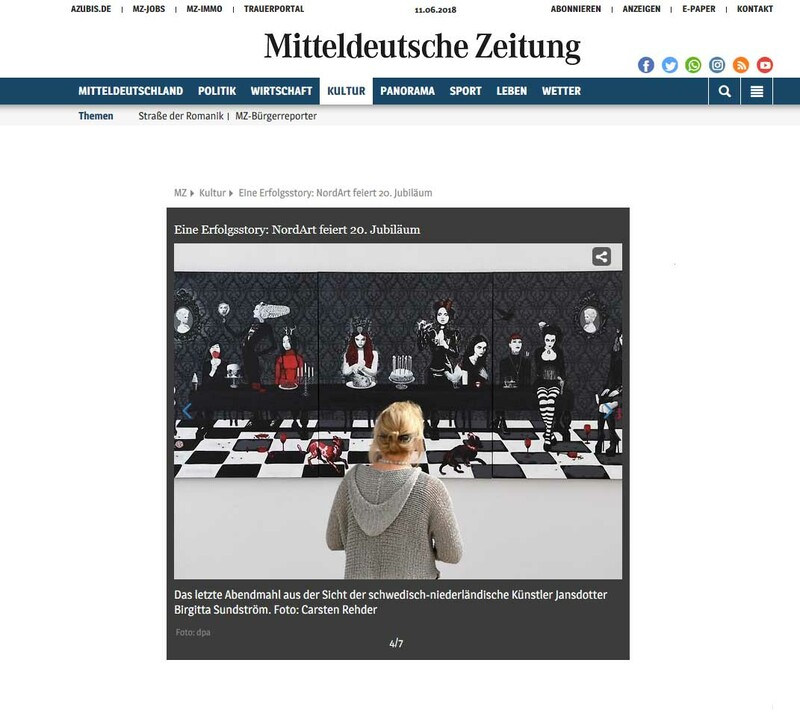 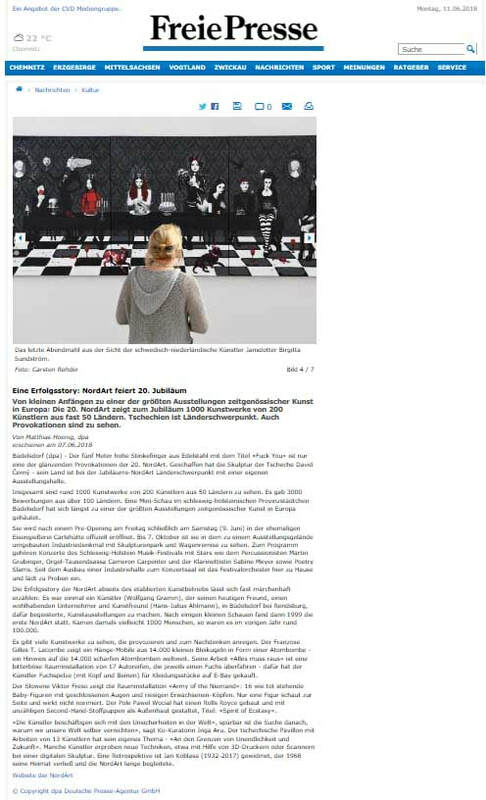 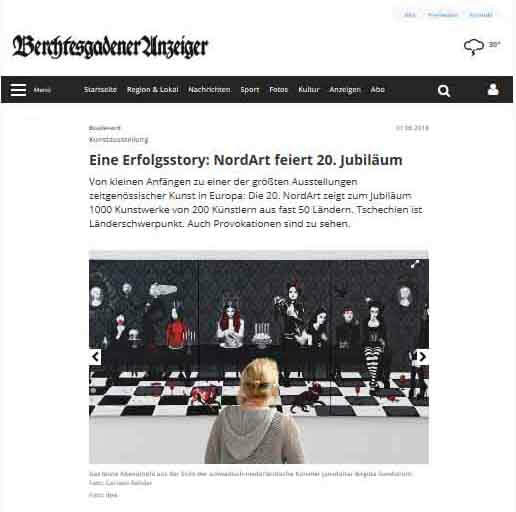 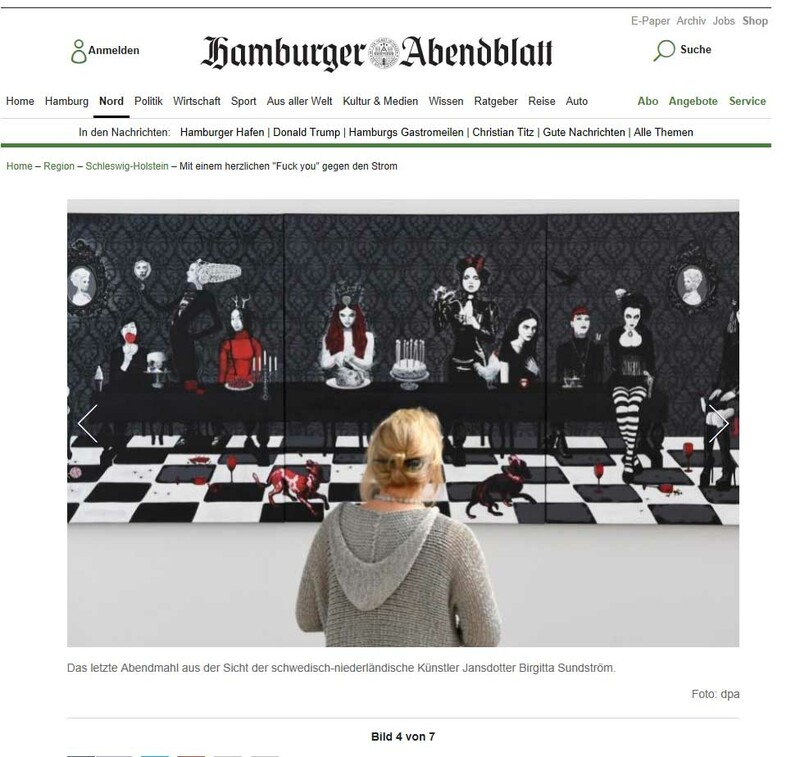 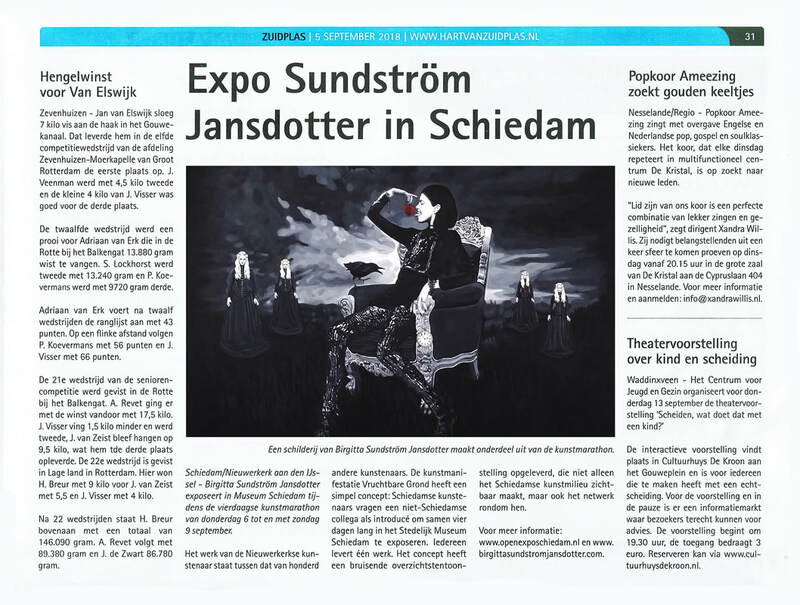 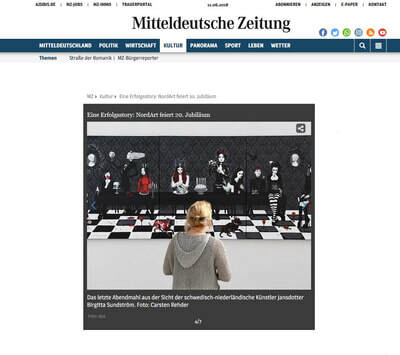 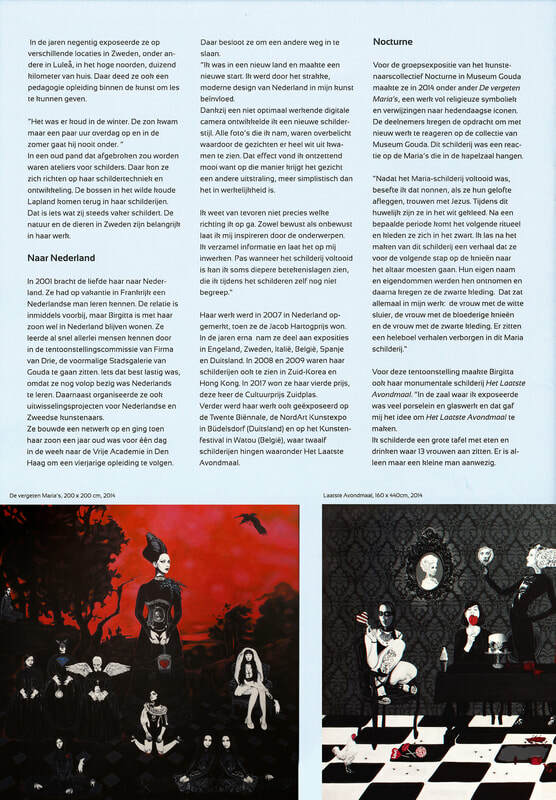 I feel so proud and happy now to be one of the 7 artists/work that the Press Information Bureau of Germany has been chosen to send to all the newspapers in Germany for the celebrating of the 20 years Jubileum of NordArt. 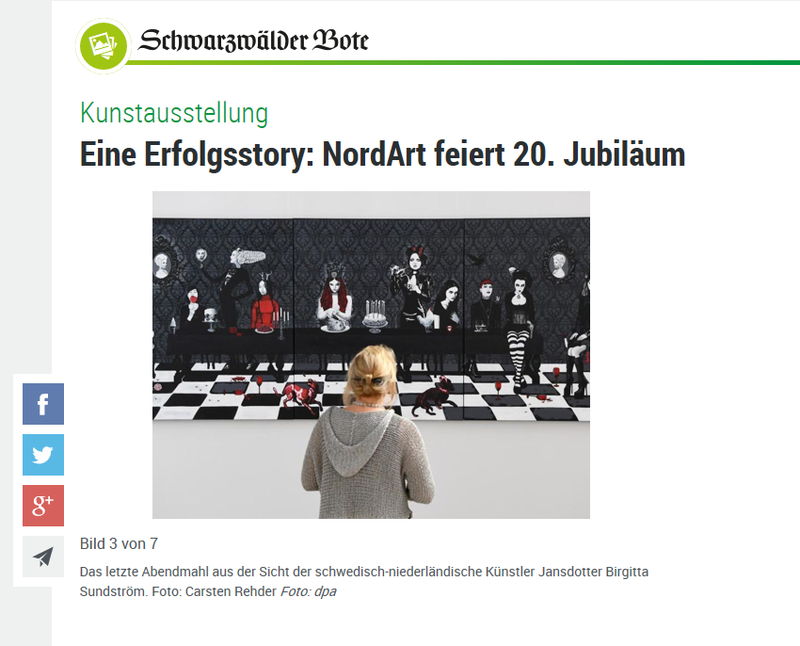 NordArt in Büdelsdorf, Schleswig-Holstein, has established itself as one of the largest annual exhibitions of contemporary art in Europe. 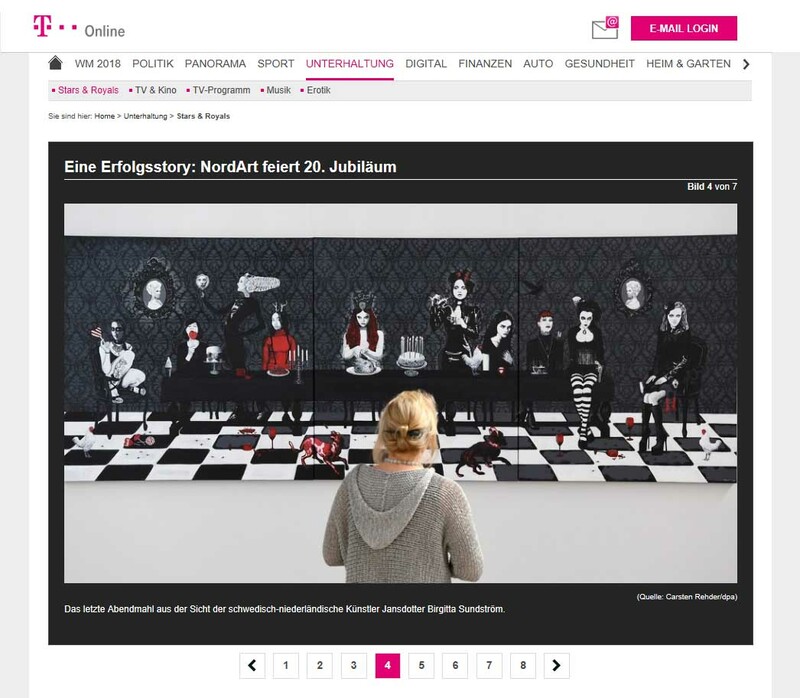 It has presented an extensive panorama of modern art every summer since 1999. More than 3000 applications by artists from 105 countries were received this year. 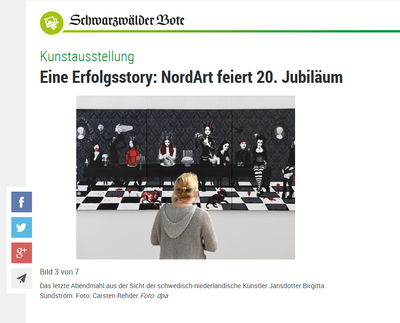 NordArt is celebrating an anniversary this year: For the 20th time, the exhibition will be presenting paintings and sculptures, photographs and installations by 200 selected artists from all over the world. 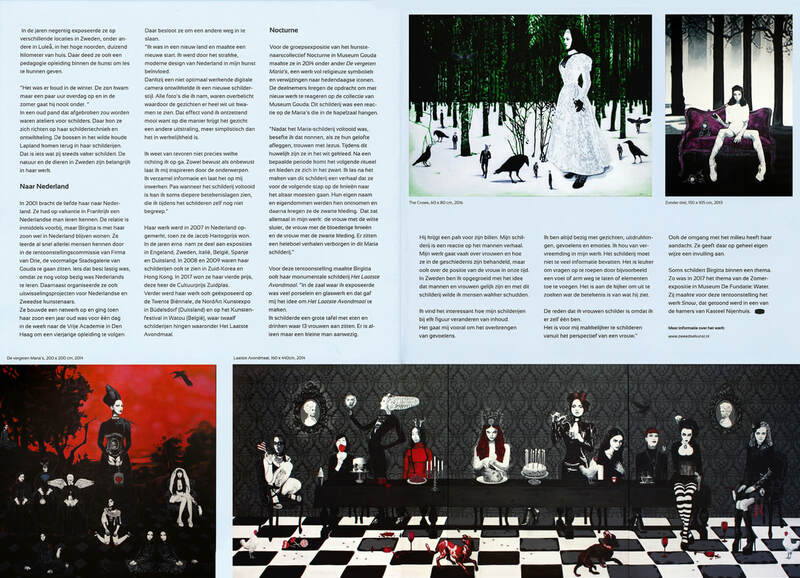 This year’s Country Focus is on the Czech Republic. 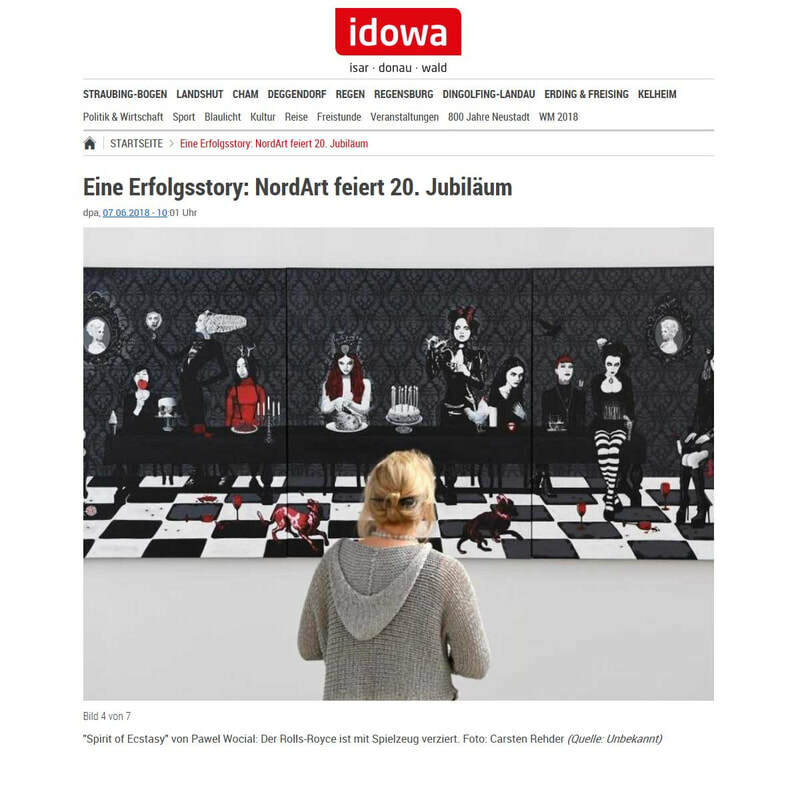 Patron of the Czech Pavilion will be the Ambassador of the Czech Republic to Germany, His Excellency Mr. Tomáš Jan Podivínský. 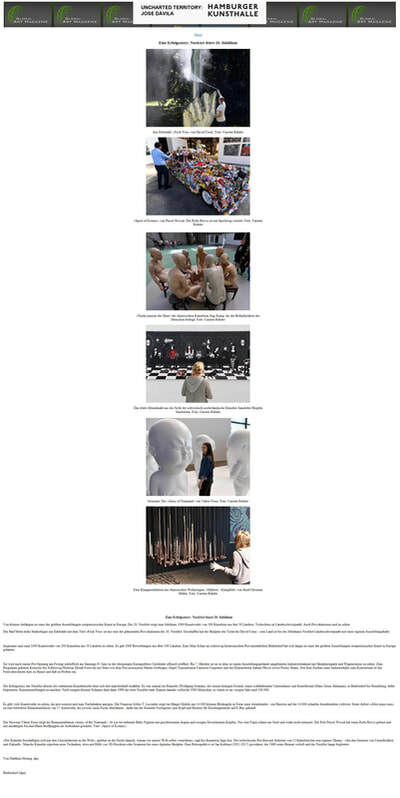 Simultaneously, Czech born sculptor Professor Jan Koblasa (1932-2017) will be taking center stage as the Focus Artist. 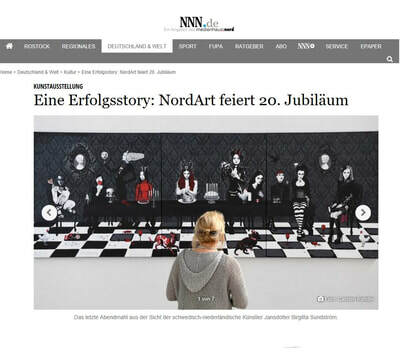 NordArt thus not only takes a bow to this great artistic personality - it also wishes to honour the man who has provided NordArt with important impulses and support from its very beginnings. The long-standing cooperation with the Chinese Embassy in Berlin and the cultural institutions in China, in addition to close contacts with the Chinese art scene, have already led to many spectacular presentations at NordArt in past years. Contemporary art from China will again receive special attention in 2018.